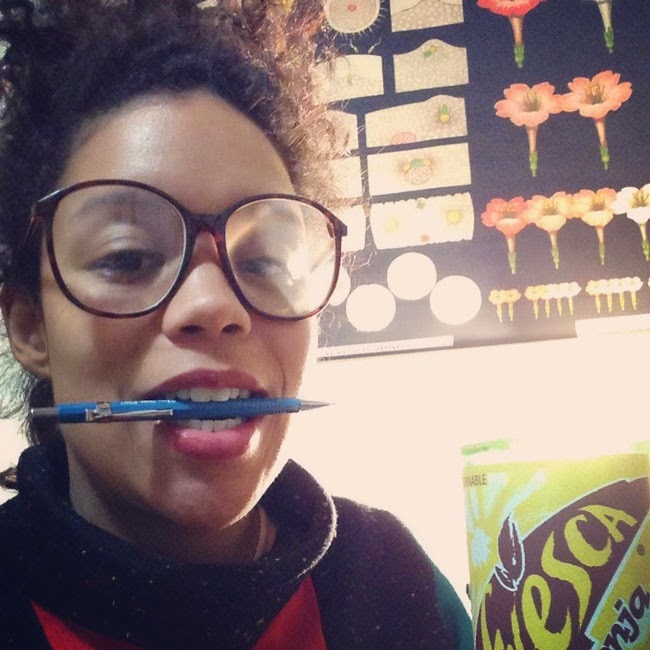 Whit Taylor is an east coast twentysomething cartoonist who appeared on the scene in 2011 with what she calls her first “real” title, Watermelon…and Other Things That Make Me Uncomfortable as a Black Person. Her latest, Up Down Clown, an 80 page graphic novel, just debuted at moCCA in April. Whit is not a trained artist, but an instinctual one, with a smart, thoughtful, wide-ranging approach to storytelling, alternating the autobiography of her philosophically-oriented zine Relics with the pure silliness of an Behind the Music-style satire called Stethoscope Microphone. 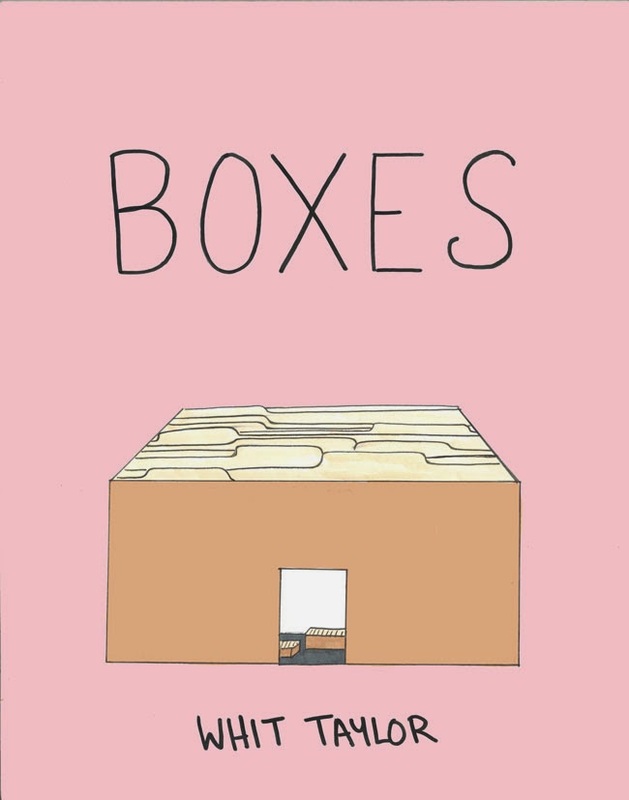 In 2013 she was nominated for the Outstanding Series Ignatz award for the five part Madtown High, a semi-autobiographical look at high school life in New Jersey, and she has just been nominated for 2 Glyph Comics Awards for Best Writer and Fan Award for Best Work, both for her 2013 title Boxes (the Glyphs are for African-American achievements in comics). Whit also writes comics reviews and conducts interviews (just like this one! ), but we didn’t get around to talking about that. We talked about other interesting stuff, though, as one always does when talking with Whit, so hop on the Interesting Stuff Train and join us. Rob Kirby: Hey Whit. So you're tabling at MoCCA (day two) right now. How's it going? Kirby: Okay, I must tell you that you have to see that movie, it’s really excellent. It's a documentary about 3 black brothers in Detroit Michigan (my hometown) during the 1970's that formed this amazing, basically punk rock sort of band - they were completely ahead of their time. The fact that they were African American just adds to their mystique, that they were making music that was outside their culturally imposed box. Does that resonate with you at all? Taylor: Yeah, actually it does; particularly the "outside of their culturally imposed box" bit, especially as it applies to existing as a black woman in the "indie" comics world (I put indie in quotes because I have no clue what it actually means). I think the landscape is changing for sure, but there aren't tons of women of color in this scene that we HEAR about. I think this speaks to two things: 1) Perhaps a lack of awareness of the indie comics world in the larger black community and 2) a less than hospitable environment at times for women of color who want to tell stories their way. Kirby: Whit, to be honest, other than you I don't know of any other black women currently working in indie comics (for our purposes here let's equate "indie" with non-mainstream comics - i.e. someone not working for DC or Marvel, etc). And very few black men. Okay, three off the top of my head: Daryl Ayo Brathwaite, Victor Hodge, and Keith Knight (Burton Clark, a very talented artist best known for his contributions to Gay Comix in the 80's, has been inactive for years now, as far as I know). This scene is overwhelmingly white. I've always figured that for whatever socio-cultural reasons the scene simply didn't attract that many African American creators. Do you think my assumption is misplaced? Do you know any other African American women and men publishing indie comics? Taylor: Although there are not a lot of black women currently working in indie comics, they are definitely out there. The first person who comes to mind is Jennifer Cruté. 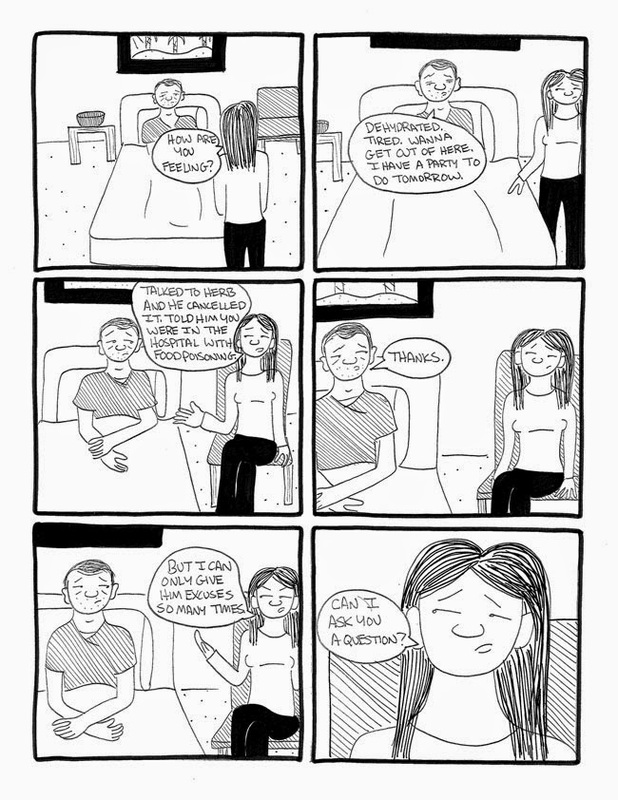 She's an illustrator as well as an autobio cartoonist who does some solid work. 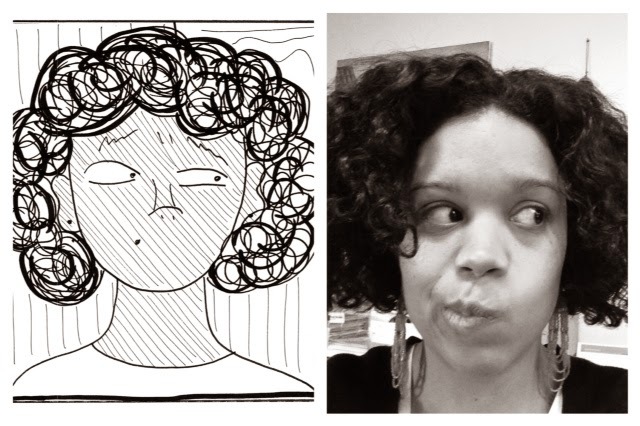 I met her a few years ago at a show and saw her again at the Black Comic Book Festival at the Schomberg Center in Harlem this winter, where she was on a panel of black female indie cartoonists moderated by Regine Sawyer, another black women on the scene. The Ormes Society, named after Jackie Ormes, is also a great support system for black female creators and has a comprehensive listing of artists on their Tumblr. They've been very generous in giving my work some exposure. I've met the majority of current black cartoonists at the East Coast Black Ageof Comics Convention in Philly. It's a pretty small show, but one where there is a lot of solidarity and mutual support for black people forging their paths in independent comics. A lot of the work seemed to be more focused on fantasy/action/superhero type work and not as much "indie" as we might define it thematically, but it was creators largely self-publishing their work. I think exposure and access are definitely big issues. I grew up in a small New Jersey suburban town with a comic book shop down the street from me and kind of stumbled into the indie thing through living in a college town (aka. Providence, RI), where I discovered the work of Jeffrey Brown, Peter Bagge, and Craig Thompson, to name a few. The store was selling these comics because they were catering to a certain demographic which they knew would be receptive to it. The reality is, even if cities are racially diverse numbers-wise, this doesn't mean that they are integrated community-wise. I worked in lower-income, predominately black and Latino neighborhoods for a few years in LA and I can't recall seeing any comic book shops in these areas. Yes, Meltdown Comics was on Sunset Blvd. not too far away, but that wasn't the clientele. So if you're not around this stuff and on top of that are not seeing people like you (or your experiences) reflected in any of the work, what is your incentive for getting engaged in this world necessarily? On top of that if you want to be an indie cartoonist and self-publish, it requires somewhat of a financial investment, particularly in the beginning. This is a real issue, and one that might pose a challenge particularly for lower income folks. I can imagine for black cartoonists, that they might feel out of place in certain indie circuits, if they are not seeing faces like their own. This is not specific to comics though. For me, yes, it's always been an issue, and one which may affect how my work is received (more on that in a bit), but growing up as one of the few black kids in a predominately white town, it's something I've kind of gotten used to. I think people go to places where they feel like what they are making will be valued, you know? Comic readers are increasingly looking to step outside of their comfort zones with what they are reading, but yes, sometimes I still wonder if for instance, if my comics on race and identity are off-putting to some because they feel like they can't identify with them or don't want to read about it. Kirby: I relate to so much of that, Whit. As a creator in the “queer” category (which I sometimes feel confined by, to tell the truth), I know it took me forever to really get going on becoming the cartoonist I was born to be - it wasn’t until I saw Gay Comix and the work of folks like Howard Cruse that those possibilities began to open up to me, that I had real incentive - and a template - to start working. Taylor: Well, I think it's an overall solidarity and support of each other’s' work, regardless of the genre. I don't have to be particularly drawn to someone's comic, but I respect that they are doing their work in an environment that may not be as encouraging of black artists to do their thing. I mean, some people were responsive to my work, particularly my comic 'Watermelon', which deals directly with race, but others were not interested in the type of comics I make. And I don't think that's unique to the black comics community. People like what they like. Whit, wondering how to keep the Robs of Panel Patter straight. Kirby: Too true. Let’s talk more specifically about your comics. Tell me all about your new book, Up Down Clown (which I had not read as of this interview) - what was your inspiration? Taylor: So, it's always hard for me to pitch this book, because I'm not sure how to do it justice. What do I say? This story is about a birthday clown with bipolar disorder? Well that's technically what it's about. But beyond that, it's about a guy struggling with mental illness and how his moods interfere with his creativity, emotional stability, relationships, and ultimately his sense of self. When I was writing it, a friend of mine warned me that I should make sure the main character was likable. I think I always have this in mind, even though every character is inherently flawed. Gabe Scallop, the main character, has a lot of self-loathing, primarily because he feels like his moods have taken him on a ride to the point where he lacks control. He can be very self-absorbed, as many are when they are not well emotionally. But deep inside, I believe that he wants to have a functional life, and even some happiness. I think his humanity is apparent. 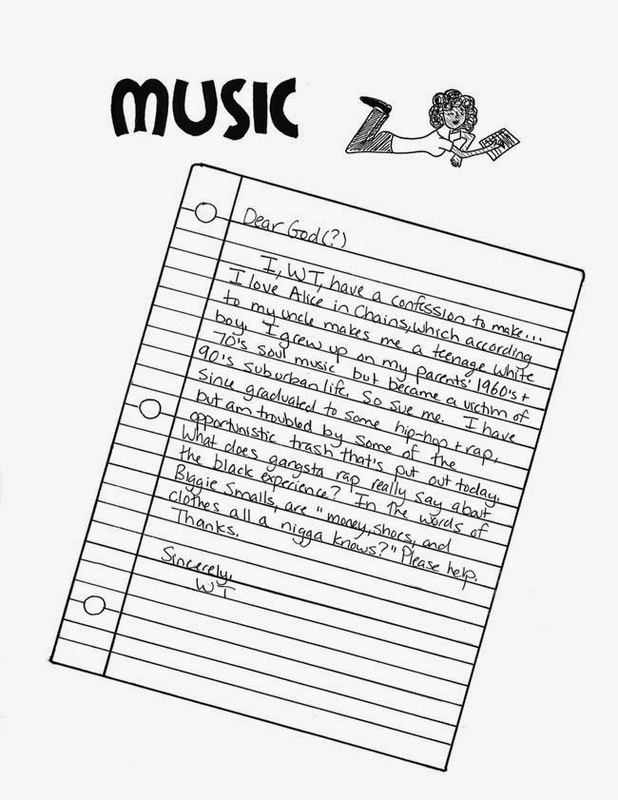 My inspiration came from a lot of sources. I've been surrounded by issues of mental health my whole life. My father is a mental health professional and my mother a social worker, so I grew up talking about these issues and consequently my own feelings, a lot. I probably knew what the DSM was before I even got into comics - an exaggeration, but you get the point. I got a masters in public health with a focus on health education, and more specifically mental health literacy. And I now work at a art college counseling center, where we deal with everything from students with adjustment issues to more serious conditions like schizophrenia and psychosis. There were/are people in my family who have struggled with mental health issues, and I myself have always battled with depression and anxiety. So, it's part of who I am. A lot of the story is about that balance between being a creative and maintaining emotional stability as it applies to medication. This is a controversial subject in some ways and something that many creatives with mental health issues struggle with. Medicine does not solve every problem, but the struggle with many has been that idea of medicine taking the "creative edge" off, even if it decreases mood lability. That's what Gabe struggles with throughout the story, and I tried to capture the difficulty of adhering to a medication regiment when you feel that it affects part of your identity. Kirby: A lot of cartoonists have talked about and done stories about their own mental health issues, like OCD, anxiety and/or depression. Do you think there a correlation between creativity and mental illness? Taylor: I mean, anecdotally I think there is. More and more people are doing those retrospectives where they look at people like Emily Dickinson, Van Gogh, Elliott Smith, or Marilyn Monroe and speculate whether they were suffering from mental illness, particularly mood disorders. Those things are hard to prove, even if you look at their histories. But on the other hand, if do see merit to it. Some correlational studies have been done as well as neurological research, but I do not feel qualified to really go into those without more knowledge. Kirby: Do you have a personal support system specifically for cartooning? Taylor: With the exception of my brother, who is a musician, no one in my family is an artist. On top of that I never went to art school, so I didn't make cartoonist friends that way. I've made cartoonist friends over the years from going to cons and online correspondence. Sometimes relationships that are initially based on communication about projects can morph into deeper relationships, which is nice. I've also met a lot of great people in the Boston area. The comics scene here is not as booming as say, in NYC, but there are some of us up here. Kirby: I always ask people this, because I'm obsessed with the issue: how are you juggling your day job & general life responsibilities with your comics work and writing? Taylor: I find it to be challenging, but luckily I don't have that many responsibilities to anyone other than myself at this moment, so I have more time than usual. It's definitely tiring to come home after working 9-5 and then work for a few more hours on comics, especially when I feel like I do my best work in the mid-morning, but that's life. I used to struggle with that, but now have kind of accepted it. Yes, in an ideal world I'd be a full-time or part-time cartoonist, and that's something I aspire to way down the line, but I try to be grateful for the time I have and maximize it to the best of my ability. Kirby: Totally random stupid question: Mayonnaise or Miracle Whip? Taylor: I HATE both. I generally have an aversion to creamy condiments and dressings of any sort, including ranch dressing, so these things terrify me. Kirby: To wrap up, what are you working on, Whit, what's up next in 2014? 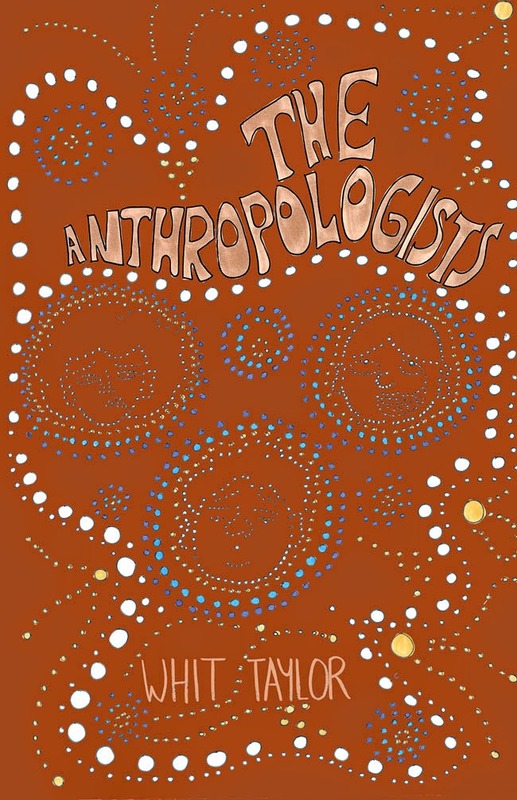 Taylor: I’m currently finishing up a comic I'm doing for Sparkplug Books called The Anthropologists, which is a semi-autobiographical story about a trip I took into the Australian Outback as an anthropology major in college. It explores a lot of the issues I'm interested in, including race, human nature, cultural tourism, and friendships. I'm also editing an anthology with Ninth Art Press, cartoonist Dan Mazur's Boston-based publishing company. The theme is subcultures, which I came up with given my interest in social science. The pieces are pouring in and they're quite exciting both artistically and thematically! It'll be out for SPX. Until next time, when I’ll be talking to Tony Breed, keep your feet on the ground and keep reaching for the stars (I didn’t make that up. If you know where it came from you are my pal). Rob K.